The S-70B-2 Seahawk is a derivative of the SH-60F, but was designed by Sikorsky to meet RAN specifications for anti-submarine warfare (ASW) and anti-surface surveilance and targeting (ASST) operations. The Seahawk was an integral part of the ship's weapons and sensor systems. 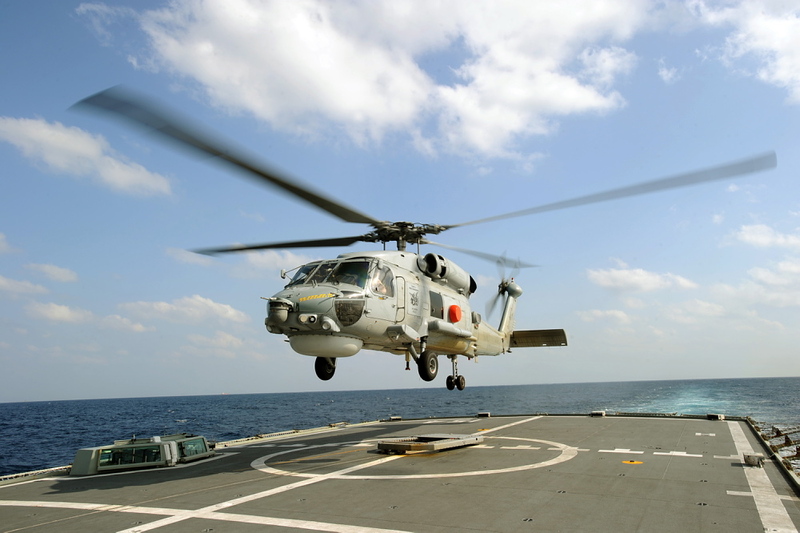 With its unique sensor suite and integrated weapons systems the helicopter extended the combat radius of the ship by finding, localising and attacking where appropriate, surface or submarine targets either independently or in conjunction with other forces. Sikorsky S-70B-2 Seahawk helicopters break formation whilst conducting a weapons firing serial off the coast of Western Australia. A typical Seahawk mission involved up to four hours of low level operations over the sea, day or night, in all weather conditions, often recovering to a ship's deck which pitched and rolled dramatically in heavy seas, and was often wet with sea spray. 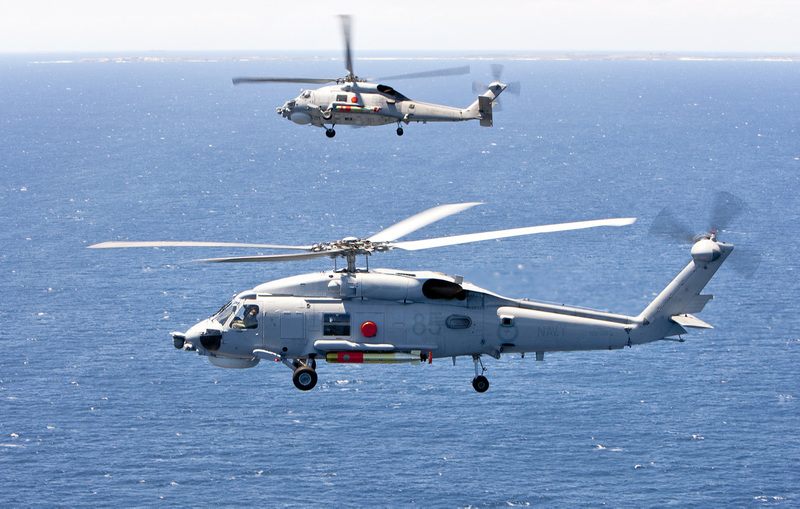 The Seahawk carried a highly capable navigation, communication and sensor suite making it a formidable helicopter in anti-submarine and anti-surface warfare. The sensors included the Super Searcher radar, magnetic anomaly detector, sonics processing for both active and passive sonobuoys, forward-looking infra-red (FLIR) and electronic support measures. The Seahawk's main weapon was the Mk46 anti-submarine torpedo and it could also be fitted with a 7.62 mm door mounted general purpose machine gun for close-in force protection. 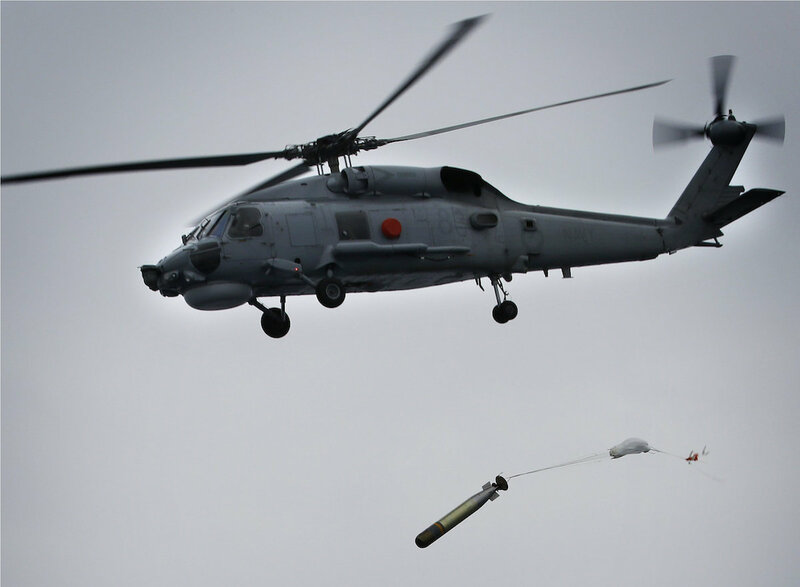 816 Squadron's S-70B-2 Seahawk helicopter, Tiger 73, launches a live torpedo during the Fleet Experimentation Period in December 2014. In addition to the Seahawk's primary roles, its comprehensive sensors and excellent performance made it an ideal helicopter for performing a number of secondary roles including search & rescue, troop lift and tactical insertion, utility operations (winching and external load lift) and fire bombing. The Seahawk normally operated with a crew of three. The pilot as the aircraft captain controlled the helicopter and was responsible for its overall safe operation. The tactical coordinator (TACCO) was an observer who was responsible for the tactical employment of the aircraft. The sensor operator (SENSO) was responsible for the operation of the aircraft's sensor equipment. They also operated the winch and hook operator when performing secondary utility roles. HMAS Darwin's Seahawk Helicopter lands on the flight deck of HMAS Perth during Exercise KAKADU 2012. The S-70B-2 Seahawk flew in excess of 88,000 hours across the fleet, predominately embarking in the Adelaide class and Anzac class frigates. The S-70B-2 was operated by 816 Squadron from the type's introduction into service in 1988 until its retirement from service on 1 December 2017. 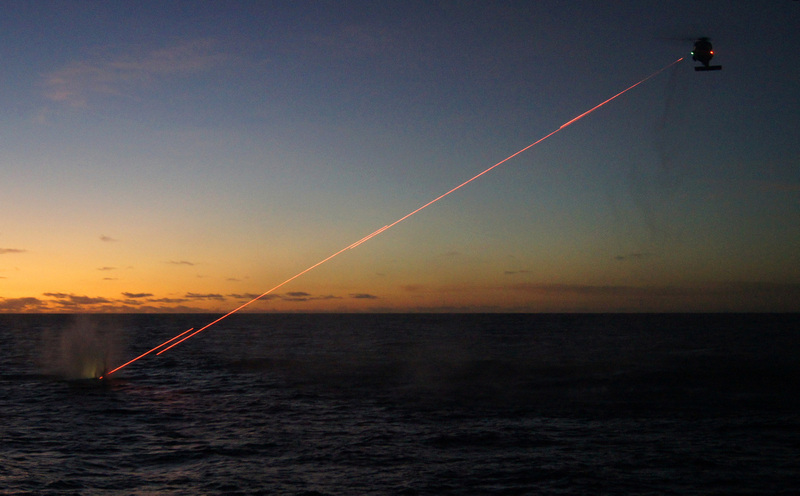 HMAS Toowoomba's S-70B-2 Seahawk helicopter, conducts a 12.7mm Browning Machine gun firing at sunset, during the transit to Operation MANITOU.